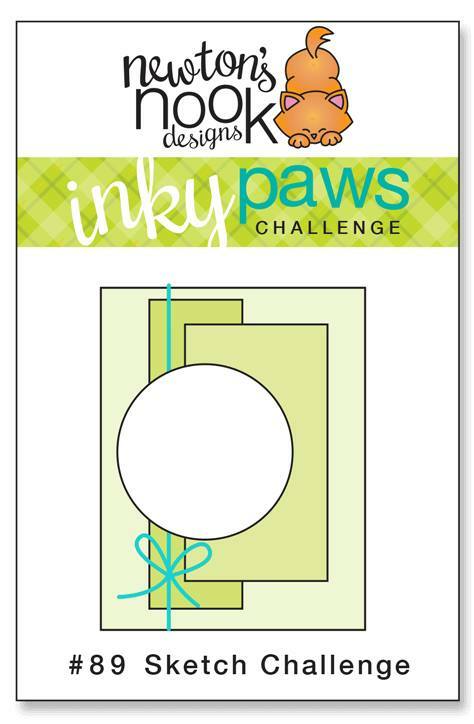 Inky Paws Challenge #89 Winner! Jennifer Nicole creates this delightful birthday card featuring this festive feline from the Newton Loves Cake stamp with a combination of fun pattern papers. She adds a bit of twine to finish off her card! This interactive card by Plans and Parcels is wonderfully designed! Using the Bubbly stencil, she creates a wonderful watery background. She then adds manatee from the Manatee-rific who gets to swim around in circles! 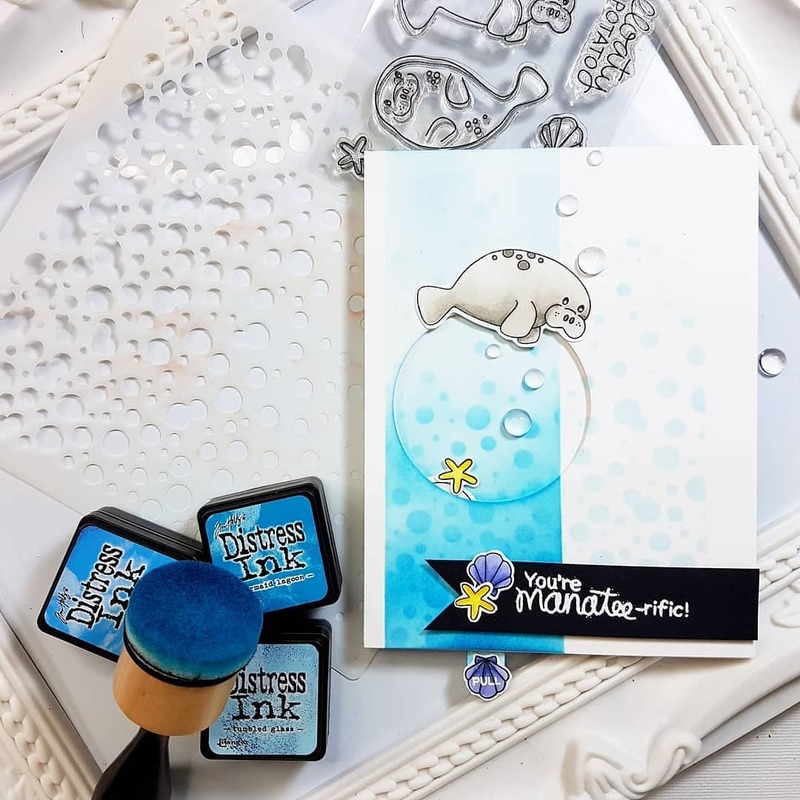 She embosses the sentiment in white on a black banner and adds a few shells and starfish! So fun! 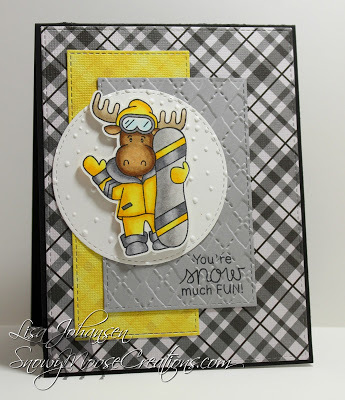 Lisa J. wonderfully colors this snowboarder from the Moose Mountain stamp set in a fabulous yellow and gray color scheme. Her combination of pattern papers and textures make for a fabulous layered background. So fun! 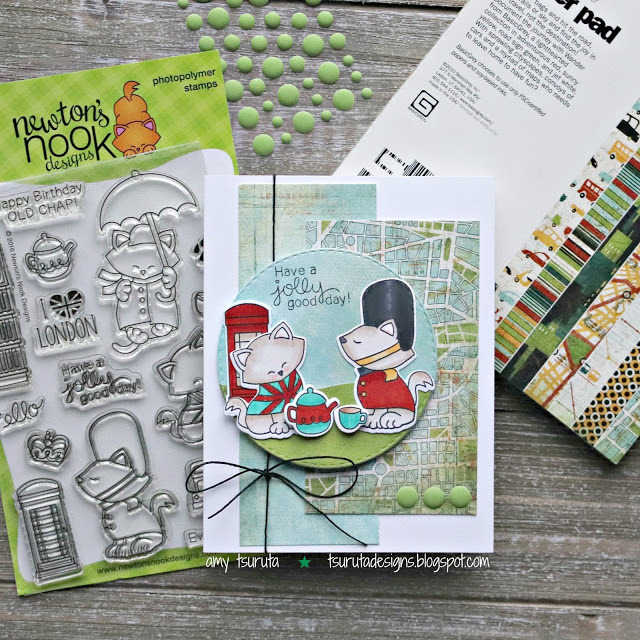 Amy brings us some international flair by selecting some map-like papers which she pairs with the Newton Dreams of London stamp and die set. She creates a London scene by having her kittens enjoying afternoon tea! 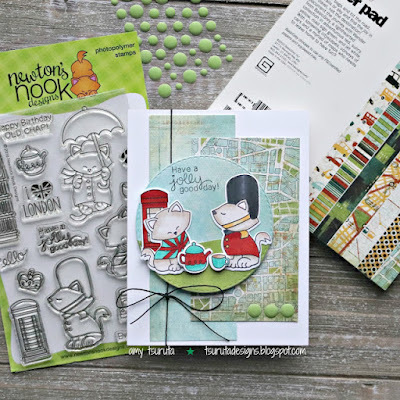 She adds a touch of twine and enamel dots to finish her fabulous cardd! 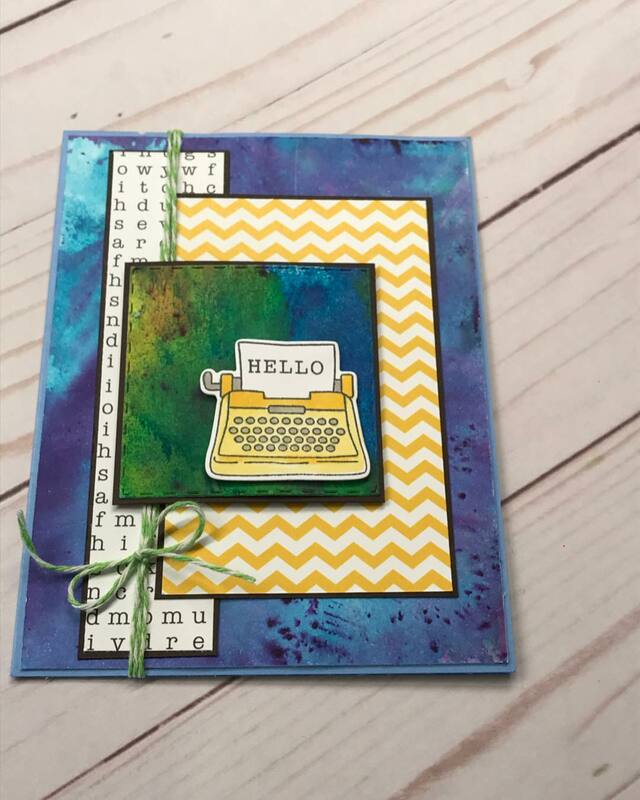 Vicki features the newly released typewriter from the My Type stamp and die set in a bright yellow! 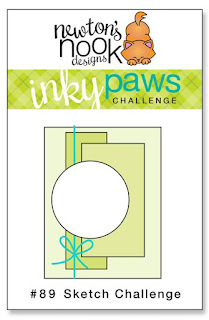 She creates amazing background layers including a fun yellow chevron and typed paper strip! So fun! Dandi turns the sketch on the side and embosses the green paper with a herringbone pattern to create a knit look. She then adds blue striped paper which she scores along the stripes. 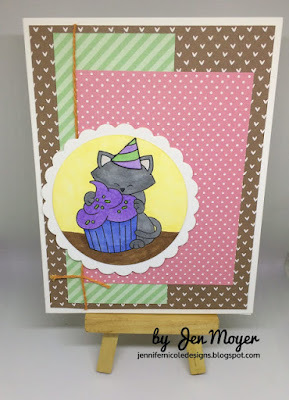 For the main attraction, she adds gray stripes on the sweet kitty from the Newton Unwinds stamp set. 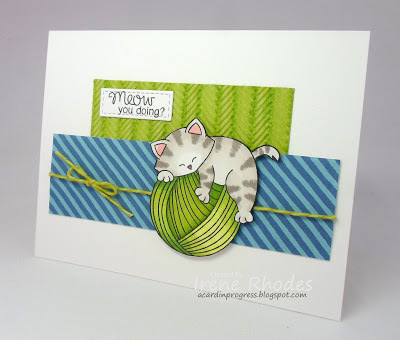 She colors the yarn green and adds a bit of green twine! Darling! Thank you for the shout out. Love this fantastic gallery of inspiration!